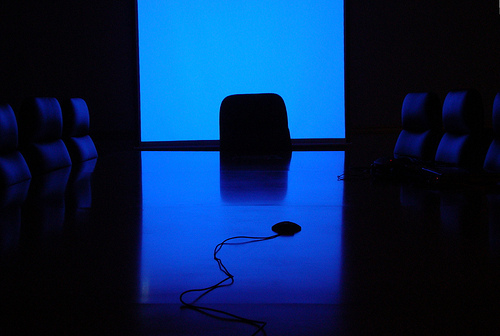 Can Mindfulness Change a Corporation? The letter that follows is self-explanatory. Last October I sent it to Mr. George three different ways – to two email accounts and by post to his office. Unfortunately, he has not responded, so after some deliberation I’ve decided to express my concerns publicly. I want to emphasize that the issue is not personal: that is, I’m not attacking Mr. George himself, who (according to what I’ve read and heard about him) seems to be a nice, well-intentioned fellow. The basic problem, it seems to me, is that one can be well-intentioned and yet play an objectionable role in an economic system that has become unjust and unsustainable – in fact, a challenge to the well-being of all life on this planet. Mr. George is an important figure in the “mindfulness in business” movement: as well as being a professor in Harvard’s MBA program, he has written some influential books that emphasize the importance of ethics and mindfulness in the marketplace. His position therefore highlights some concerns I have about the role of the “mindfulness movement,” and also has broad implications for socially engaged Buddhism generally. I’ve written elsewhere about the fact that today the traditional “three poisons” of greed, aggression, and delusion have become institutionalized as our economic system, militarism, and the media. If so, what does that imply for our engaged Buddhist practice? The UK Financial Times magazine of August 25‐26 included an article on “The Mind Business” that begins: “Yoga, meditation, ‘mindfulness’… Some of the west’s biggest companies are embracing eastern spirituality – as a path which can lead to bigger profits.” You are mentioned on p. 14. I was initially struck by your position (since 2002) as a board member of Goldman Sachs, one of the largest and most controversial investment banks. Researching online, I learned that you have also been on the corporate board of Exxon Mobil since 2005 and Novartis since 1999. I also read that you participated in a “Mind & Life” conference with the Dalai Lama and YongeyMingyur Rinpoche, on “Compassion and Altruism in Economic Systems.” These discoveries led to my decision to contact you, in order to get your perspective on what is becoming a crucial issue for Western Buddhists. The debate within American Buddhism focuses on how much is lost if mindfulness as a technique is separated from other important aspects of the Buddhist path, such as precepts, community practice, awakening, and living compassionately. Traditional Buddhism understands all these as essential parts of a spiritual path that leads to personal transformation. More recently, there is also concern about the social implications of Buddhist teachings, especially given our collective ecological and economic situation. The Buddha referred to the “three poisons” of greed, ill will, and delusion as unwholesome motivations that cause suffering, and some of my own writing argues that today those three poisons have become institutionalized, taking on a life of their own. I do not know how your meditation practice has affected your personal life, nor, for that matter, what type of meditation or mindfulness you practice. Given your unique position, my questions are: how has your practice influenced your understanding of the social responsibility of large corporations such as Goldman Sachs and Exxon Mobil? And what effects has your practice had personally on your advisory role within those corporations? Those questions are motivated by the controversial – I would say problematical – role of those two corporations recently in light of the various ecological, economic, and social crises facing us today. As you know, the pharmaceutical giant Novartis has also received much criticism. (In 2006 Novartis tried to stop India developing affordable generic drugs for poor people; in 2008 the FDA warned it about deceptive advertising of focalin, an ADHD drug; in 2009 Novartis declined to follow the example of GlaxoSmithKline and offer free flu vaccines to poor people in response to a flu epidemic; in May 2010 a jury awarded over $253 million in compensatory and punitive damages for widespread sexual discrimination, a tentative settlement that may increase to almost $1 billion; in September 2010 Novartis paid $422.5 million in criminal and civil claims for illegal kickbacks.) However, my main interest is with your role on the corporate board of Goldman Sachs and Exxon Mobil, and how your meditation practice may or may not have influenced that. Since you have been on the Goldman Sachs board for a decade, you are no doubt very aware of the controversies that have dogged it for many years, and especially since the financial meltdown of 2008. There are so many examples that one hardly knows where to begin. In July 2010 Goldman paid a record $550 million to settle an SEC civil lawsuit, but that is only the tip of the iceberg. In April 2011 a Senate Subcommittee released an extensive report on the financial crisis alleging that Goldman Sachs appeared to have misled investors and profited from the mortgage market meltdown. The chairman of that subcommittee, Carl Levin, referred this report to the Justice Department for possible prosecution; later he expressed disappointment when the Justice Department declined to do so, and said that Goldman’s “actions were deceptive and immoral.” Perhaps this relates to an ongoing issue: a “revolving door” relationship with the federal government, in which many senior employees move in and out of high‐level positions, which has led to numerous charges of conflict of interest. It may be no coincidence that Goldman Sachs was the single largest contributor to Obama’s campaign in 2008. In July 2011 a suit to fire all the members of Goldman’s board – including you – for improper behavior during the financial crisis was thrown out of court, for lack of evidence. Controversy ignited again this year when a senior Goldman employee, Greg Smith, published an OpEd piece in the New York Times on “Why I Am Leaving Goldman Sachs” (March 14, 2012), writing that “the environment [at Goldman Sachs] now is as toxic and destructive as I have ever seen it.” He blames poor leadership for a drastic decline in its moral culture – which is especially interesting, given your own teaching emphasis on the importance of leadership. In just the few months since that OpEd, however, Goldman has been fined in the UK for manipulating oil prices, and in separate U.S. cases has paid $22 million for favoring select clients, $16 million for a pay-to-play scheme, $12 million for improper campaign donations, and $6.75 million to settle claims about how it handled option claims. Such fines seem to be acceptable as simply another cost of business, rather than a spur to change how the company conducts business. Please understand that I’m not criticizing you for these illegal activities. Being on the board, you are not usually involved in day-to-­day management. However, I would like to know how you view the “toxic environment” at Goldman Sachs, and the larger social responsibilities of such a powerful firm, in light of your own meditation practice. And since you have been on the Goldman board since 2002, how do you understand the responsibility of a board member in such a situation, and what role have you been able to play in affecting its problematical culture? I am also curious about your position as a board member of ExxonMobil since 2005. It is reportedly the world’s largest corporation ever, both by revenue and profits. According to a 2012 article in The Daily Telegraph, it has also “grown into one of the planet’s most hated corporations, able to determine American foreign policy and the fate of entire nations.” It is regularly criticized for risky drilling practices in endangered areas, poor response to oil spills (such as the Exxon Valdez in 1989), illegal foreign business practices, and especially its leading role in funding climate change denial. ExxonMobil was instrumental in founding the first skeptic groups, such as the Global Climate Coalition. In 2007 a Union of Concerned Scientists report claimed that between 1998 and 2005 ExxonMobil spent $16 million supporting 43 organizations that challenged the scientific evidence for global warming, and that it used disinformation tactics similar to those used by the tobacco industry to deny any link between smoking and lung problems, charges consistent with a leaked 1998 internal ExxonMobil memo. In January 2007 the company seemed to change its position and announced that it would stop funding some climate-­denial groups, but a July 2009 Guardian newspaper article revealed that it still supports lobbying groups that deny climate change, and a 2011 Carbon Brief study concluded that 9 out of 10 climate scientists who deny climate change have ties to ExxonMobil. Even more important, the corporation’s belated and begrudging acknowledgement that global change is happening has not been accompanied by any determination to change company policies to address the problem. Although there has been some recent funding for research into biofuels from algae, ExxonMobil has not moved significantly in the direction of renewable sources of energy such as solar and wind power. According to its 2012 Outlook for Energy: A View to 2040, petroleum and natural gas will remain its main products: “By 2040, oil, gas and coal will continue to account for about 80 percent of the world’s energy demand” (p. 46). This is despite the fact that many of the world’s most reputable climate scientists are claiming that there is already much too much carbon in the atmosphere, and that we are perilously close to “tipping points” that would be disastrous for human civilization as we know it. In response to this policy, I would like to learn how, in the light of your meditation practice, you understand the relationship between one’s own personal transformation and the kind of economic and social transformation that appears to be necessary today, if we are to survive and thrive during the next few critical centuries. How does your concern for future generations express itself in your activities as a board member of these corporations (among others)? Are you yourself skeptical about global warming? If not, how do you square that with your role at ExxonMobil? Let me conclude by emphasizing again that this letter is not in any way meant to be a personal criticism. From what I have read and heard, you are generous with your time and money, helping many nonprofits in various ways. What I’m concerned about is the “compartmentalization” of one’s meditation practice, so that mindfulness enables us to be more effective and productive in our work, and provides some peace of mind in our hectic lives, but does not encourage us to address the larger social problems that both companies (for example) are contributing to. Today the economic and political power of such corporations is so great that, unless they became more socially responsible, it is difficult to be hopeful about what the future holds for our grandchildren and their grandchildren. What is the role of a corporate board member in critical times such as ours? I would much appreciate your reflections and your experience on this issue. David Robert Loy is a professor, writer, and Zen teacher in the SanboKyodan tradition of Japanese Zen Buddhism. His writings and workshops often focus on the interaction between traditional Buddhism and the modern world, especially the social implications of the Buddhadharma.